Rugged and genuinely capable off road. Comfortable and practical. Very well-equipped as standard. Impressive CVT gearbox. High emissions and poor economy. No cheaper two-wheel drive option. Boxer diesel engine dropped. 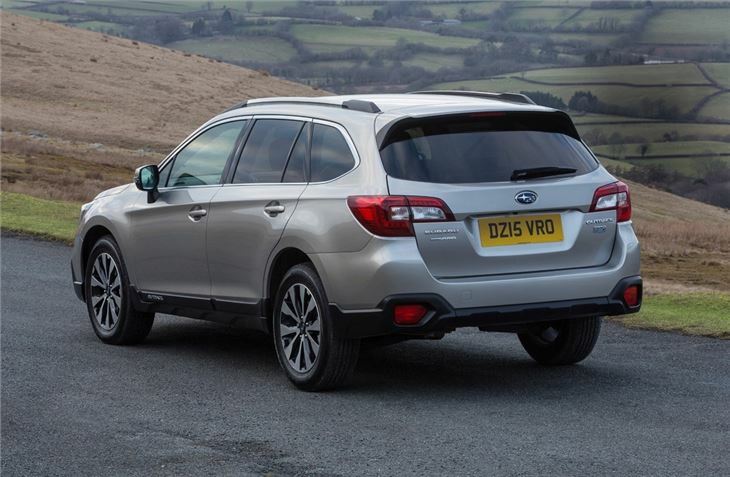 For the sixth generation of Legacy and Outback, the Legacy was dropped from the UK market due to anticipated poor sales. The 2015 model year Subaru Outback stuck to the same formula of rugged, all-wheel drive capability allied to subtle styling. And the new model does nothing to break the mould. It does, however, take a big leap forward in quality, technology and handling, making it much easier to recommend than previously. The latest car shares a lot with its predecessor but it has been heavily revised, with more modern styling, a much improved cabin, retuned suspension and a new standard-fit safety system called EyeSight. This combines one of the best adaptive cruise control systems available with automatic emergency braking. The Outback uses four-cylinder boxer engines - as is typical for Subaru - in petrol or diesel. The 175PS 2.5-litre petrol is offered with a CVT automatic only, while the far more sensible 150PS 2.0-litre diesel is available with a manual or CVT automatic gearbox. 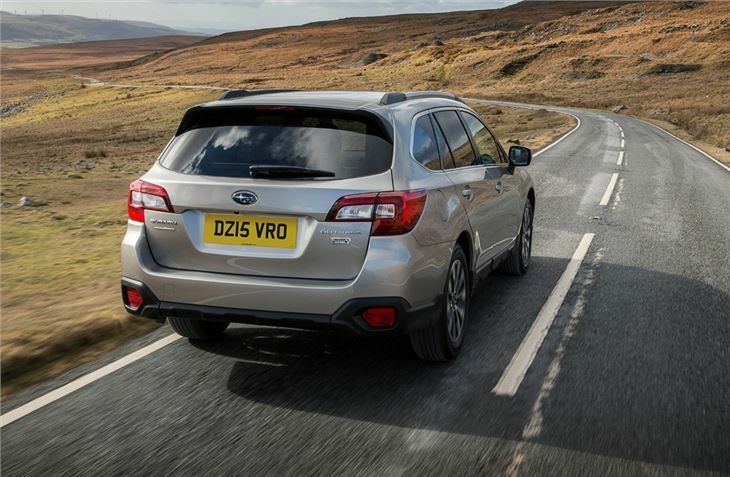 Unfortunately emissions are high for both and fuel economy isn’t too impressive – though Subaru tends to have accurate official figures in Real MPG. 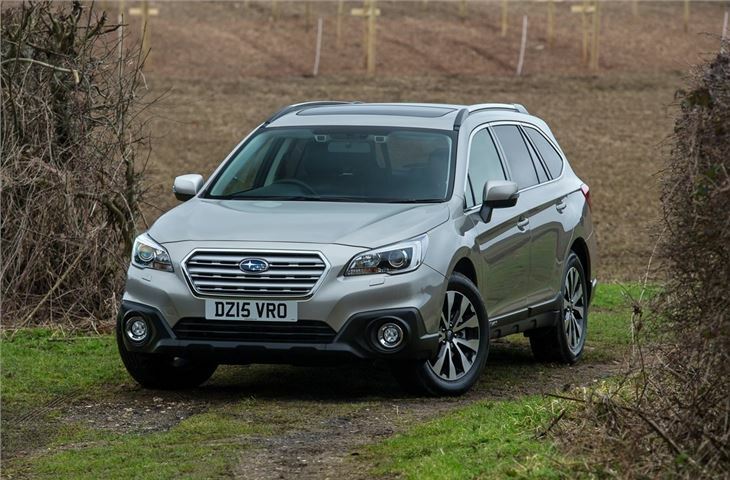 The Outback has a permanent all-wheel drive system which works very well in tricky conditions both on and off road, including wet mud and snow. 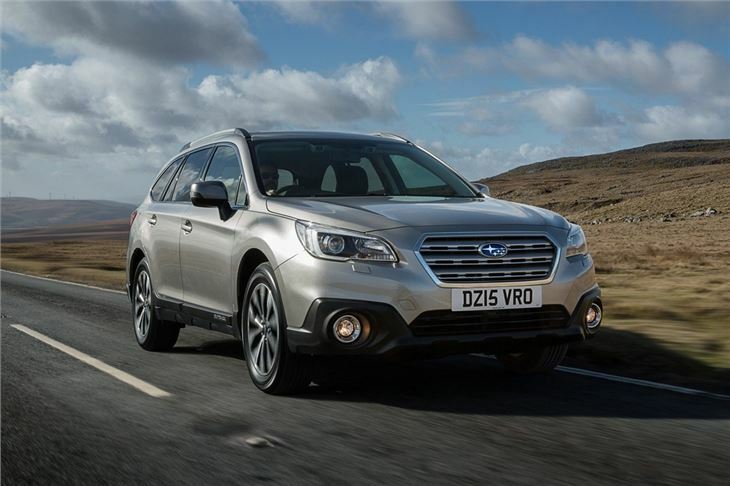 The all-wheel drive system makes the Outback a good tow car for those who live in areas prone to poor weather, with a braked rating of up to 1800kg for the diesel and 2000kg for the petrol. 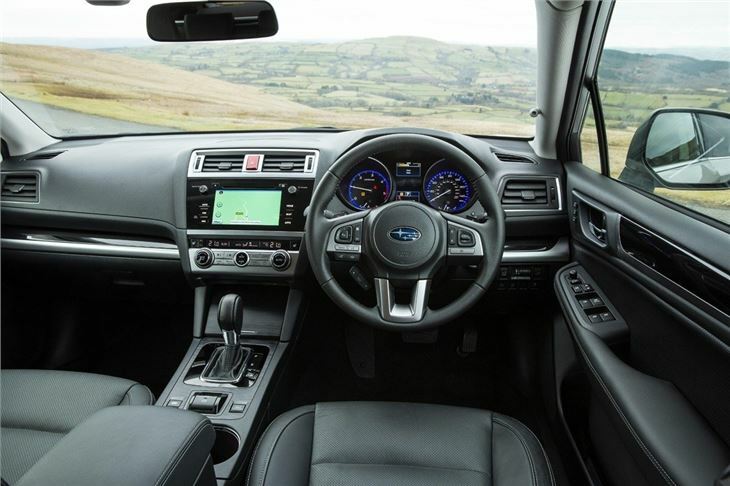 The cabin has taken a big step up in quality, with better materials and a cleaner, more upmarket dashboard. This includes a touchscreen infotainment system with navigation. 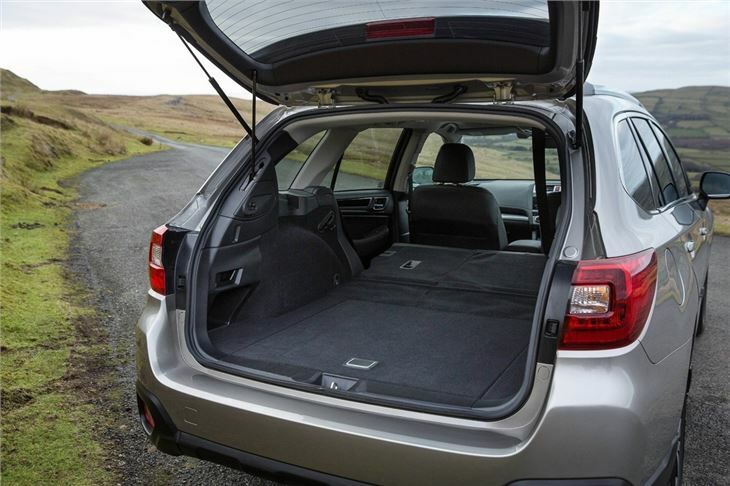 The back row is roomy enough for adults while the boot is practically shaped and spacious, with a huge maximum volume of 1848 litres. Standard equipment is generous, but the range is fairly limited. 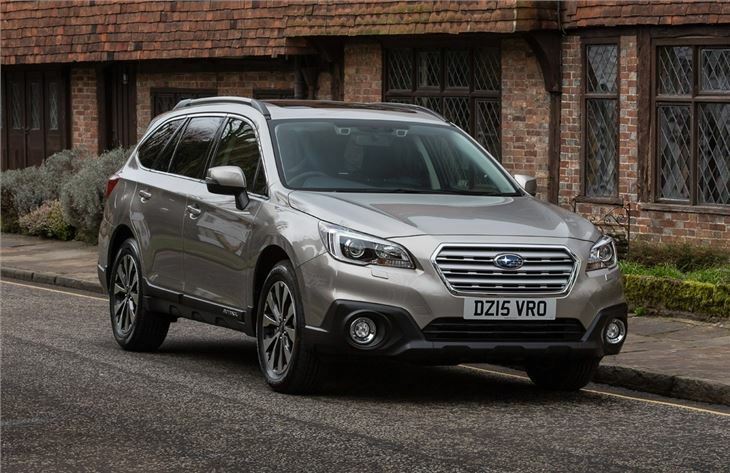 All models have all-wheel drive as standard, so the Outback is really meant for buyers who genuinely rely on their car in all conditions. For those who want rugged looks, but who drive in friendlier environments, there are cheaper alternatives on the market both in term of running costs and price. well built safe allwheel drive comfortable car. Subaru need to bring more in to the UK.